I have always felt that a room just isn’t dressed until it has window treatments. I would compare it to getting decked out for a cocktail party and forgetting your shoes. As if! Window treatments can quickly warm up a cold room with color, pattern and texture and soften hard architectural lines. There are very few projects I do for clients where draperies or shades aren’t high on my priority list. And while nothing is better than custom-made draperies, I realize they just aren’t in the budget for everyone. The great thing is that there are some very nice stock draperies out there. West Elm, Pottery Barn, Homegoods and Target are some of my favorite go-to sources. I find that a lot of stock drapery options are grommet-top curtain panels. While I generally like the look of them, it’s hard to keep them from slipping around and looking messy. 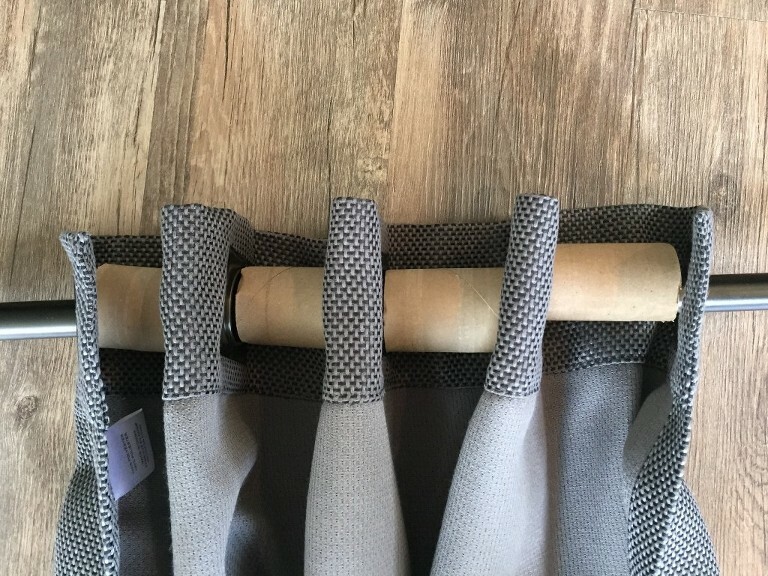 It doesn’t matter how perfectly I get the grommets spaced on the rod to create tailored looking “folds”, it seems that within just a few hours the kids, pets or the vacuum cleaner has them all messed up again. Look familiar? The other day I was working with a client who had existing grommet-top panels that just weren’t working for the reasons above. I had a revelation that if I created a bumper between the grommets, the folds would stay more evenly spaced and the panels would look fuller. So I decided to cut empty toilet paper rolls down to 3/4 their normal size. 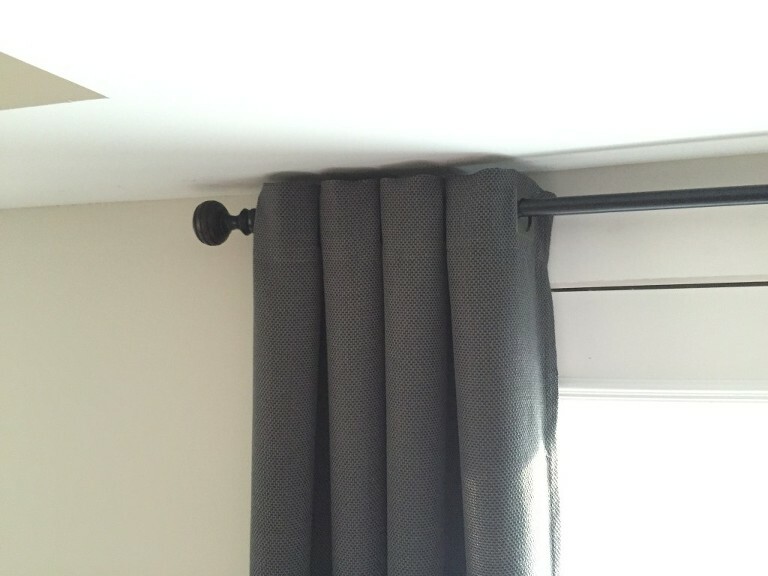 Then I placed the rolls on the rod between the grommets on the hidden side of the curtain panel. Here’s an example of what it looks like from the back. As you can see from the photo below, it’s amazing the difference this made! 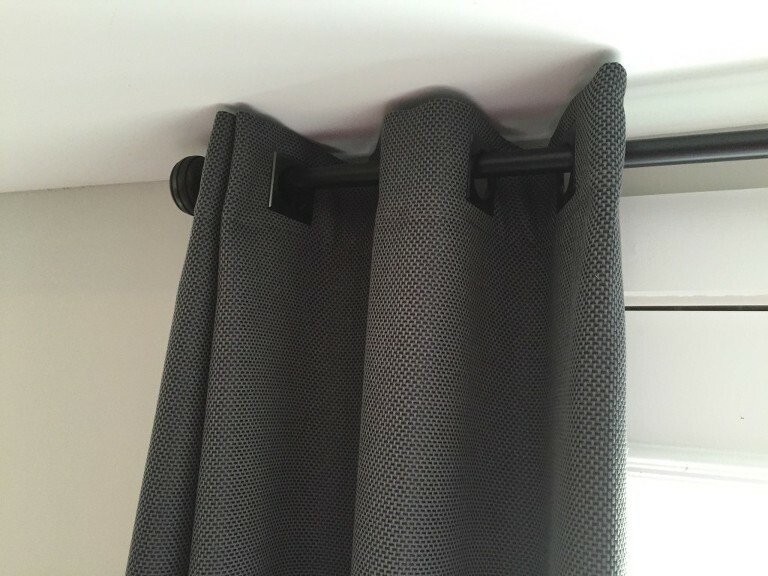 Now the curtain panel appears much fuller and the folds maintain their even spacing regardless if they get knocked around a bit. And you would never know there are toilet paper rolls up there. What an easy and no cost solution to this decorating dilemma!! Start saving those toilet paper rolls! 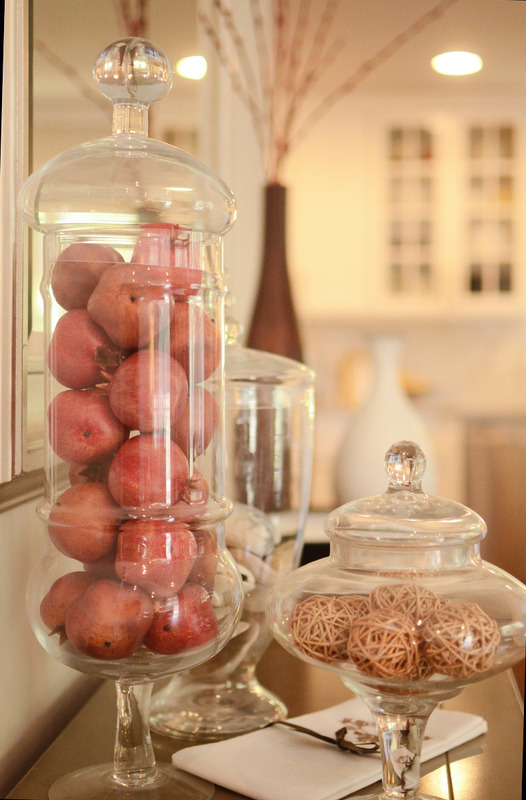 Check back soon for more projects, tips and ideas from Orchid House Interiors, LLC!